Eolas Money was formed in 2009 and has since established itself as a financial wellbeing and planning practice for personal and employer clients throughout Ireland. 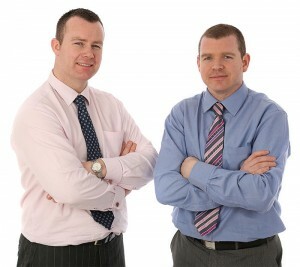 Established by financial wellbeing professionals Brendan Reilly & Jim Stapleton, they have 40 years of combined experience in the design and delivery of financial planning solutions for their clients. Eolas Money maintains the highest standards of professionalism and we have invested very heavily in the education and professional development of our Financial Planners in order to ensure the highest level of professional advice is provided to all our clients. Apart from holding the prestigious Certified Financial Planner designation, our Financial Planners also hold memberships of the Society of Financial Planners Ireland on whose board Brendan sits, Irish Tax Institute, the Financial Planning Standards Board Ireland and are Qualified Financial Advisors. In addition, they have attained the Graduate Diploma in Financial Planning and the M.Sc. in Financial Services from University College Dublin.